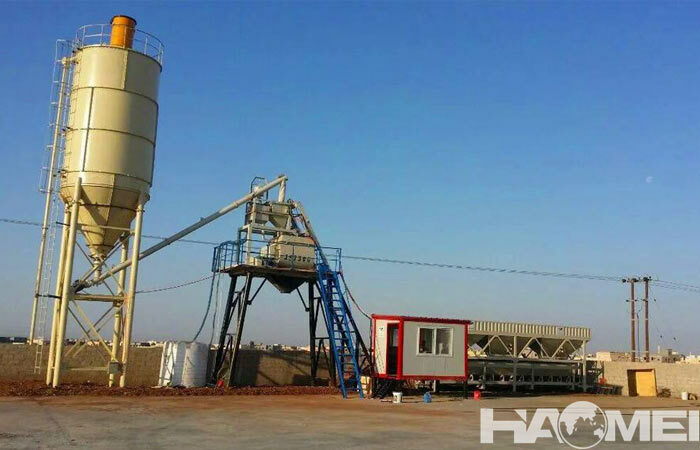 The hzs25 concrete batching plant also known as half cubic meter concrete plant, it is the smallest concrete mixing equipment in the HZS series concrete mixing plants. The mixing capacity of the hzs25 concrete plant is 25m3/h, the mixing capacity of the concrete mixer is 0.5 cubic meter. 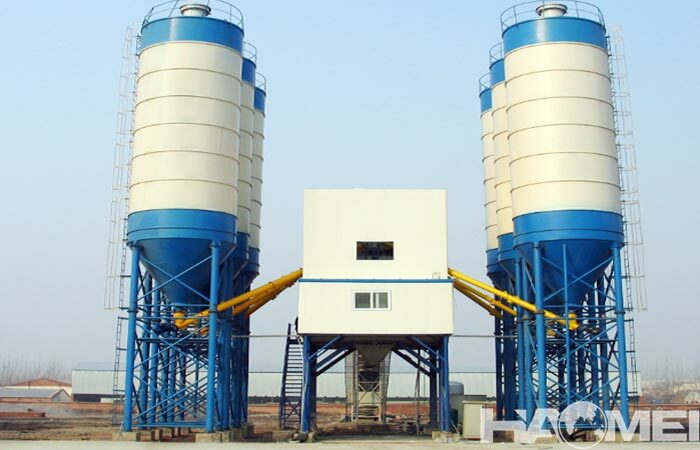 The 0.5 cubic meter concrete batching plant equipment is composed of feeding, batching, stirring and electrical control systems. 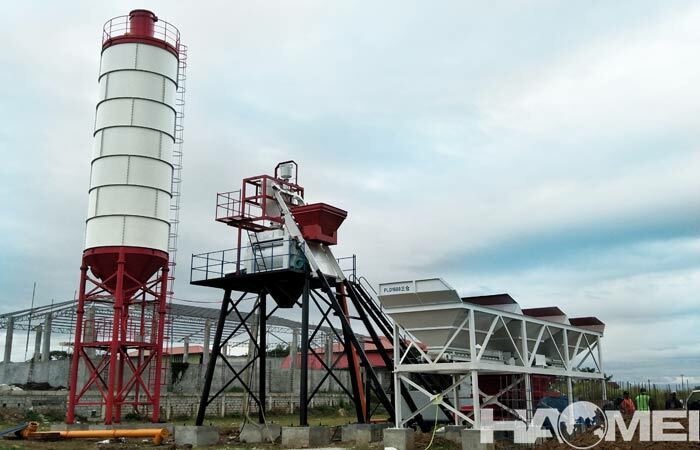 The mixing machine adopts the hopper raise feeding method, the JS500 double-shaft forced concrete mixer is used, the aggregate batching part uses the PLD800 type concrete batching machine, and the loading machine is used to load the sanding stone on the concrete batching machine bucket respectively. 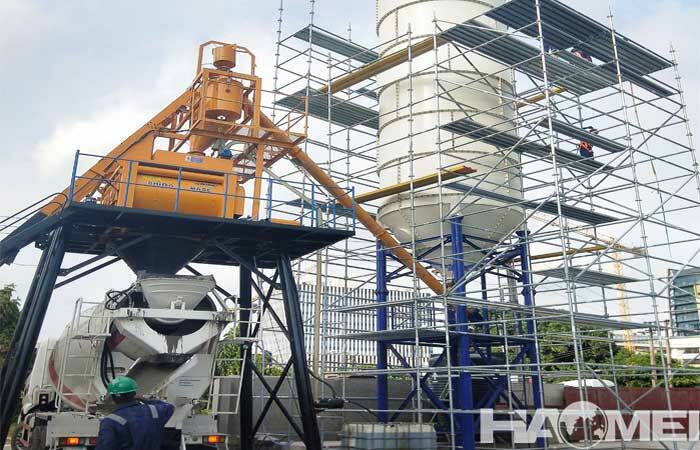 The whole set of HZS25 concrete plant equipment is measured by electronic scale, the accuracy is guaranteed to be reduced or decreased by one percent. The cement used for concrete is stored in the cement silo and transported by a screw conveyor. After the cement is metered, it is transported to the concrete mixer as needed, the water is stored by the water tank and the reservoir, the water pump is supplied, and the water scale is metered. After the liquid admixture is uniformly stirred in the admixture storage tank, it is sent to the admixture scale by the corrosion resistant pump for metering. The entire process of batching and mixing is controlled by the computer automation control system to automatically complete (or manually control) the production of materials. The computer control system can simultaneously store a plurality of different concrete proportions for calling at any time, which can be quickly produced. 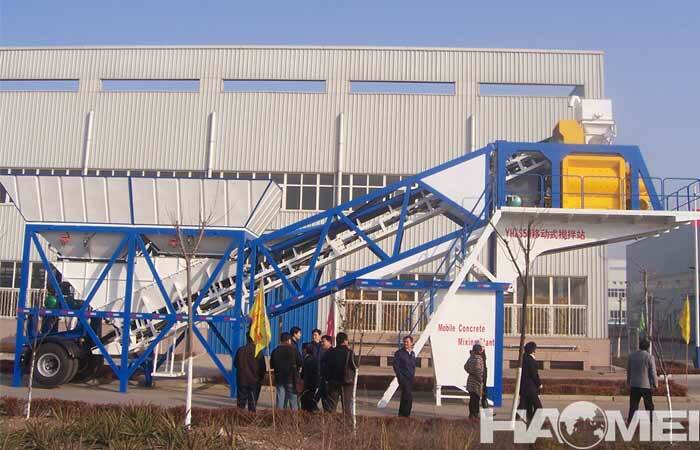 The hzs25 concrete batching plant has certain advantages. For example, the whole equipment covers a small area compared with other equipment, and the theoretical output value can reach 25 cubic meters per hour, which can basically meet the concrete supply of small engineering projects. The equipment has advantages of high automation degree, simple maintenance and low investment. A set of half cubic meter concrete plant market price is between 13,000 and 45,000 dollars. The difference in price is mainly reflected in the difference in configuration. 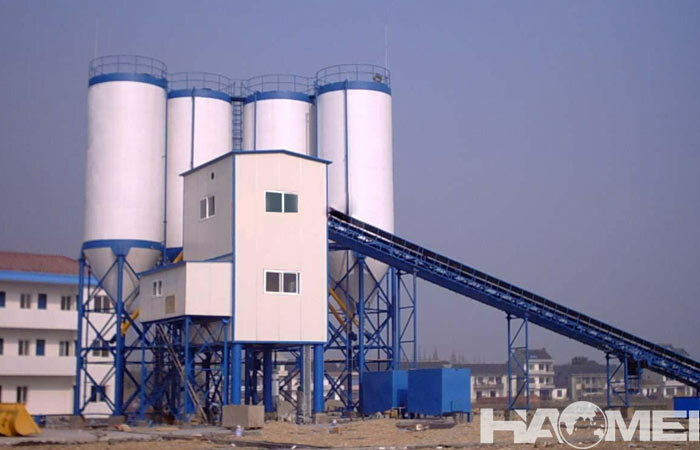 Prev: What are the model of mini mix concrete plant for sale?